Out of all the amazing reasons to get married in St Lucia, the scenery has to be one of our top favorite reasons for anyone to get married at this gorgeous destination location. Imagine getting married with the breeze of the ocean over your face, or having a stunning backdrop for your wedding which includes the sandy, blue ocean or the famous Piton volcano. Saint Lucia has one of the most beautiful sceneries among all the Caribbean islands. No matter what theme you want your wedding to be, whether it be paradise at the beach, or time in a historical moment, this island can provide that perfect natural scenery that will wow your guests. Having a destination wedding will save you so much more than having a traditional banquet hall wedding. This is why so many couples opt to have a destination wedding especially when it comes to budgeting. When it comes to a destination wedding, your payment typically includes the flight, a 7-day stay which is typically all-inclusive, the banquet room or restaurant, ceremony, and officiant. For one price, this is pretty amazing. Research your locations as much as possible before finalizing your details. Getting married at the beach is an amazing thing on its own, getting married with no shoes, is even better. Destination weddings allow for less heavy clothing and they are no need for expensive suits and ties. Your dress should be extremely light in order for you to handle the weather. Keeping it simple is the way to go if you are thinking of having a destination wedding. These are just a few of the amazing reasons to get married in St Lucia, saving money. Just imagine the feel of the warm white sand under your feet whiles you look into the eyes of the one you love and say I Do. 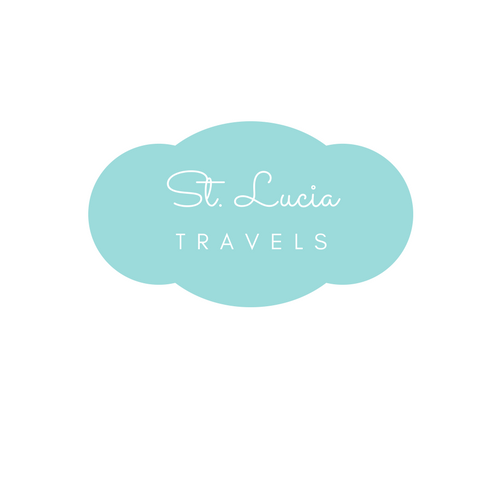 The average weather in St Lucia is 29 degrees Celsius. November is the hottest month of the year and January being the coldest at 26 degrees Celsius, you are almost guaranteed to have a rain-free wedding. The rainy season begins in June through to November. But even with a little rain, you are guaranteed to get a lot more sunshine. A lot of the resorts in St Lucia have indoor facilities should it rain. As always, have a backup plan in case of weather issues. I would not worry too much about the weather as St Lucia is extremely beautiful. Having a wedding coordinator on site will ensure you have a smooth wedding for yourself and your guests. Not enough amazing reasons to get married in St Lucia? Well, we have a few more amazing reasons for you to consider St Lucia. Saint Lucian people are known for their amazing kindness and great hospitality, so if you do decide that you want to say your ” I Do’s” in this great paradise of an island, I guarantee that you will get more than expected, which would include an amazing welcome, smiling faces everywhere you go and amazing people ready to help you. St Lucians really know how to go above and beyond to help. They are extremely polite and welcoming. Rest assured that your guest will enjoy this. No matter where you choose to host your wedding in St Lucia, you will still have an amazing experience. You can choose to host your wedding in the sandy brown area of the beautiful Caribbean sea or opt for a more private ceremony in a historical building surrounded by the mouth dropping views of the rainforests. Destination weddings in St Lucia are definitely becoming extremely popular and we invite you to have your next wedding there. Since you are already down there for your wedding, why not extend your stay in St Lucia and enjoy your honeymoon as well? They are so many amazing things you and your partner can do in St Lucia on your honeymoon. You can visit the Sulphur Springs and enjoy a nice mud bath which is good for your skin. You can go on a snorkeling tour as a couple. St Lucia has one of the unexploited underwater secrets in the Caribbean. Go on adventures and explore the country. Go on a site tour and view the pitons, visit the Diamond Waterfalls and Botanical Gardens. These are just a few of many things you can do in St. Lucia. There is nothing more exciting and fun than spending time with friends and family. Think about all the fun you can possibly have on the beautiful island of St Lucia. Spend one week on a destination island with family witnessing your ceremony is just a dream come true experience. Spend time exploring the island, relaxing and ultimately enjoying the best day of your lives (in your case the week). Can you imagine how breathtaking all your wedding photos would be? Just check Pinterest and look up Destination weddings. The photos are always beautiful and breathtaking. Photos of you on the beach, in nature, or surrounded by historical buildings will all make for stunning memories. Will you be planning your next wedding in St Lucia? Which of these locations did you like best? Contact us for all your planning needs. Great article! If I wasn’t already married this would be great! Maybe a ten year!! St. Liucia looks amazing. If i ever get married then hopefully i have the bank roll to do it here.